Vaporizer2 Launch - VAST Dynamics Vaporizer2 launch on February 1st, 2019! Being able to synthesize any arbitrary waveform without aliasing – audible or not – is considered the holy grail of wavetable synthesis. But what does aliasing mean in that context? 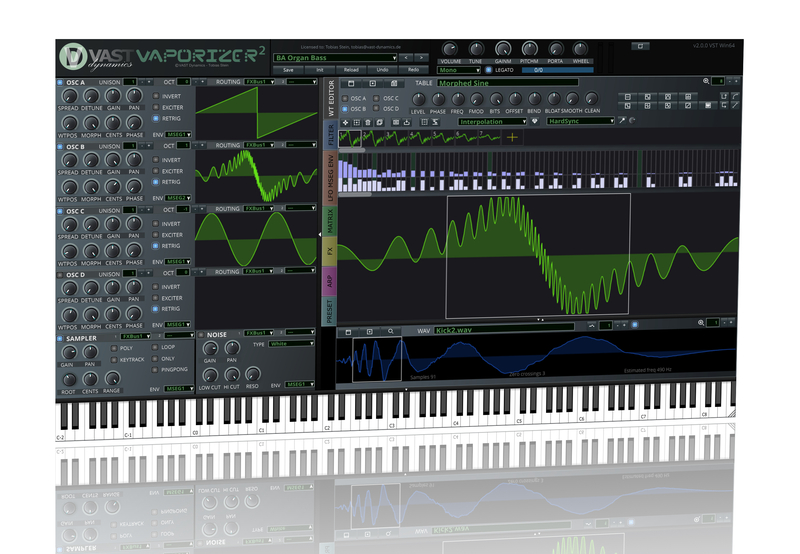 Vaporizer2 is our first hybrid wavetable additive / subtractive VST/AU synthesizer / sampler workstation. The intention of this development is to create a alias-free high-performance wavetable sound engine with low system CPU resource usage. Read a detailed list of the product features here. Today you can get a first glimpse on the new VST Vaporizer2. 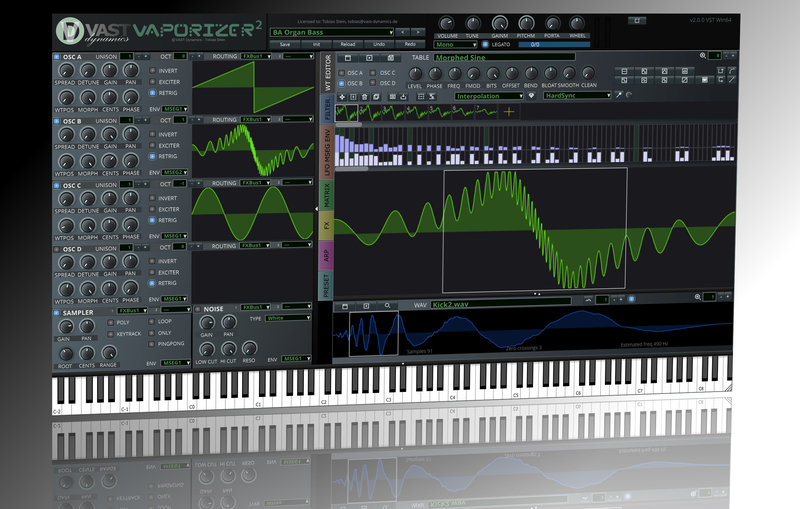 We expect that this all new producer suite plugin can be released in about one month. Have fun! We have released our first VST synths. Check them out in the products section. VAST Dynamics is the result of professionalising a hobby. We are music producers, synthetic sound addicts and DSP & software engineers since more than 25 years. And we have a strong passion for analogy synthesis sound design. We are a new, dynamic company trying to drive virtual analog synthesis technology to the next level. We design new, massive virtual analog synthesis models that allow an almost unlimited number of oscillators per voice (e.g. 96 parallel sawtooth oscillators, …). We aim at the creation of the fattest analog sound around. Check our products at our web site.